Go Goa - Plan this vacation to the land of quaint beaches and ultimate fun with Republiqin! This trendy club and bar offers the best lively music and dance experience where the guests can dance to their fill and have a fun night. This happening night club is situated at the prime location in Tito’s road in Baga, Calangute at North Goa. Set up in a fine open garden, Rita’s Bar and Restaurant offers the best sea food delicacies and pleasant alcoholic and non-alcoholic beverages to the visitors. Even the vegetarian menu is equally enticing. This amazing spot is located close to Nehru Market. The epitome of authentic Goan food, George Bar and Restaurant offers everything from succulent sea food delicacies to finger-licking Chinese cuisine. Get on a gastronomic adventure and savor the Goan style of cooking while you are here. Located at Altinho, Panjim, this place is frequented by food lovers. 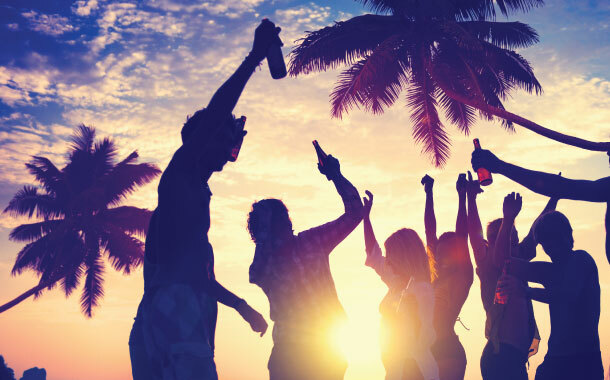 While vacationing at Goa, find the best bars and other hangouts with the help of RepubliqIn, the fabulous mobile application which helps you locate the nearest happening spot with great ease and helping in making your holiday in Goa ever memorable.